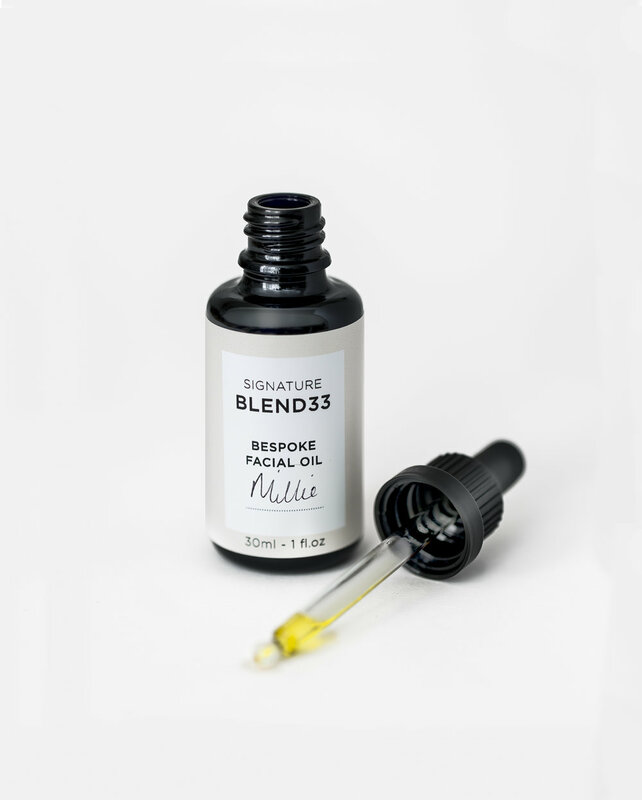 Let us blend you your own bespoke facial oil using the best natural and organic cold pressed oils. Our unique knowledge and understanding of your skin allows us to design the best possible facial oil for you. This is your opportunity to have something truly unique blended for your own individual skin needs. 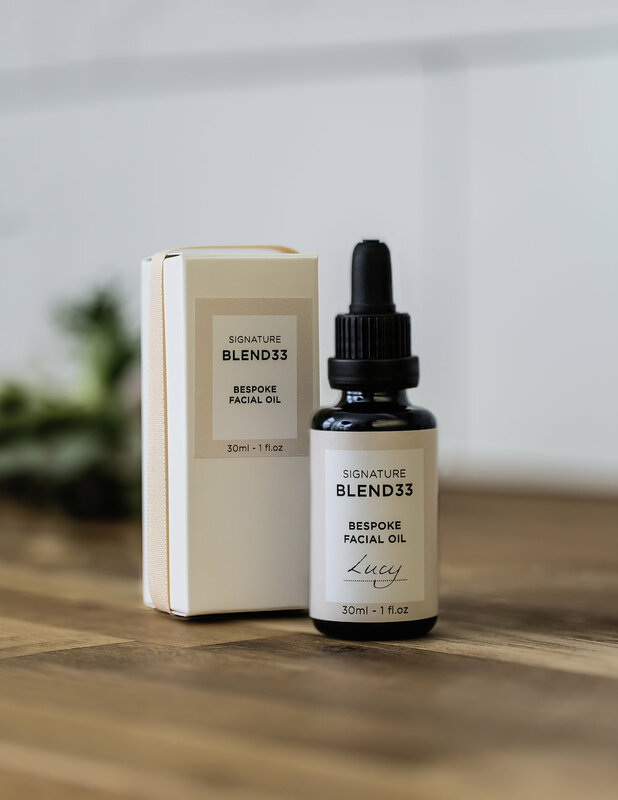 Whether your skin is ageing, dry, dehydrated, hormonal, sensitive or blemish prone we will craft the perfect blend to achieve beautiful, glowing natural skin. We are passionate about the transformative powers of natural oils. 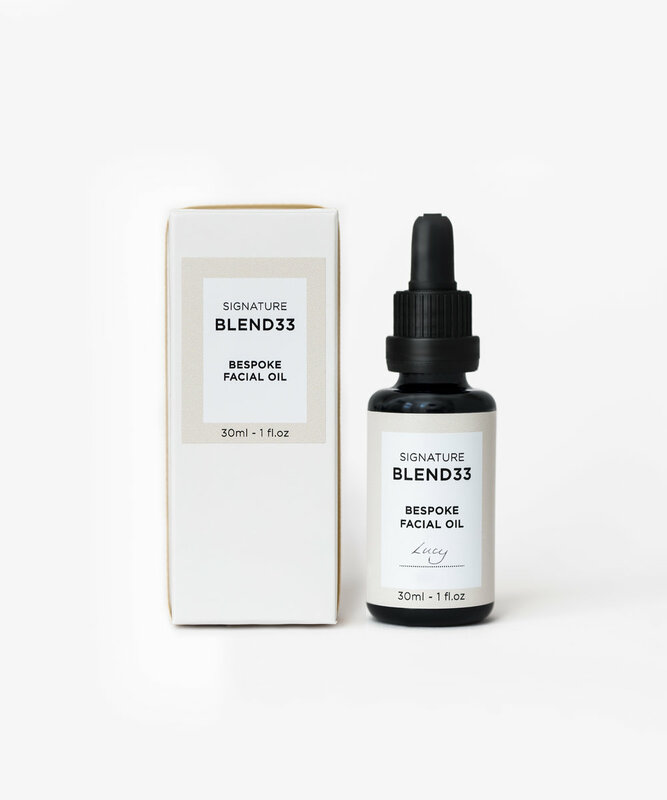 Packed full of nature’s super ingredients your own Signature Blend will absorb into your skin repairing, hydrating and strengthening. Made using the finest natural plant and seed oils. Our packaging is recyclable and our ingredients are never tested on animals. 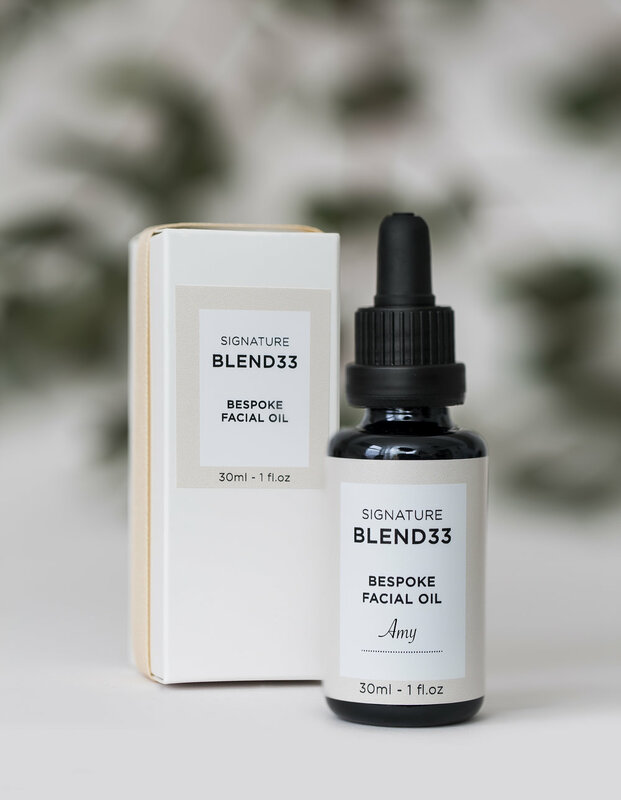 * Due to the uniqueness of this process Signature Blend33 is only available to clients of 33Dowanhill.